Hello and Good Morning, friends! 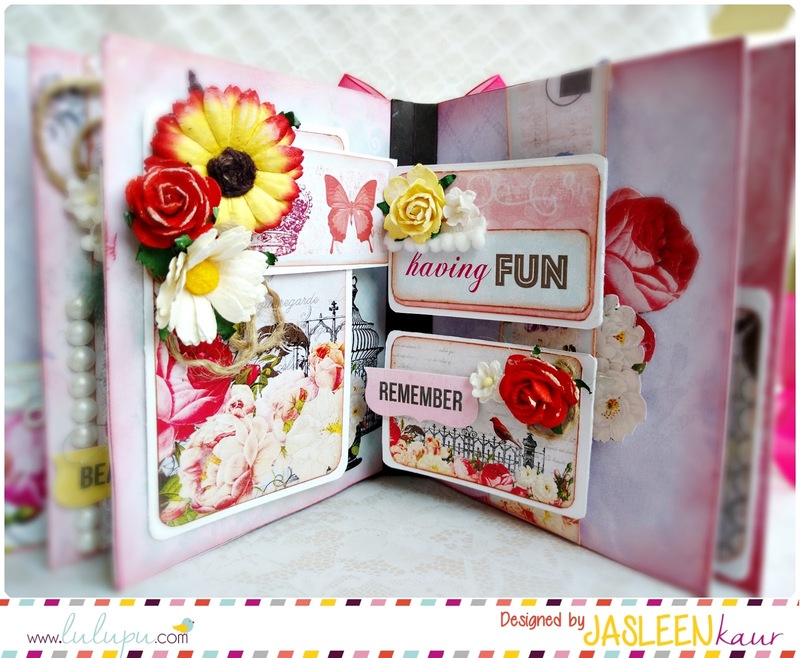 c. Bind the pages together using any handmade or machine made binding. d. Any other method to put pages together. BUT loose individual pages will NOT BE CONSIDERED as an album. The final project must look like a booklet. 4. 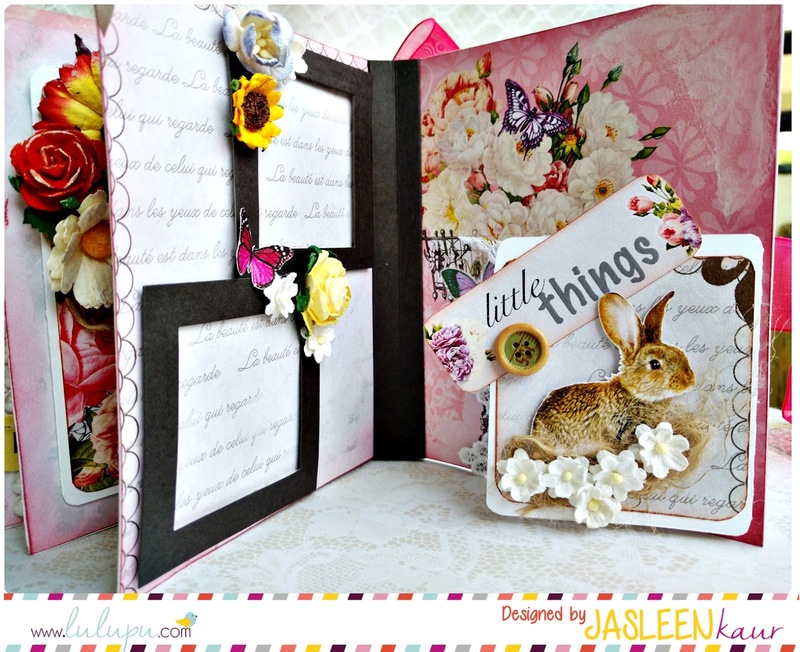 It can be an interactive (with inserts, folds, etc.) album or a plain flip-album. 5. Only pasting pictures and binding pages will NOT BE CONSIDERED. Pages need to be embellished. 6. Photos in the album (if personal) can be blurred. But blank pages stating that photos will be added later, will NOT BE CONSIDERED. 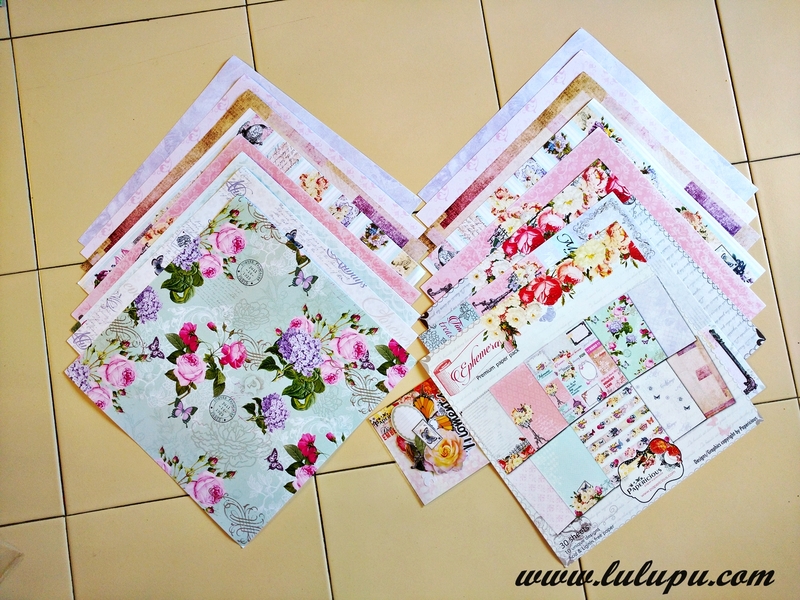 However, photo mats with other embellishment(s) will be okay. The album I made measures 5 by 6 inches in size. I have used the gorgeous Ephemera papers by Papericious for making this one. 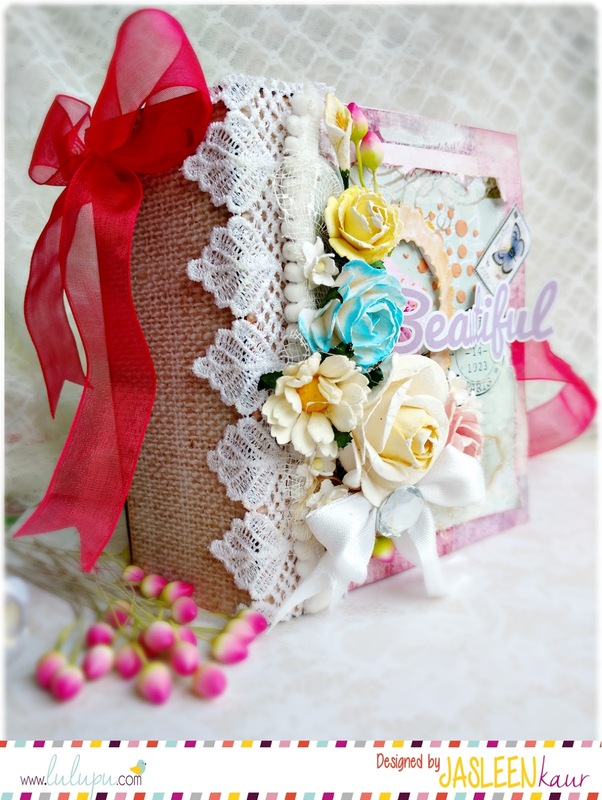 These papers are just perfect if you like to make romantic , shabby chic styled albums with lot of flowers. This album has total of 5 pages, and I've added a tag or two or an interactive flip page for adding photos on every page. 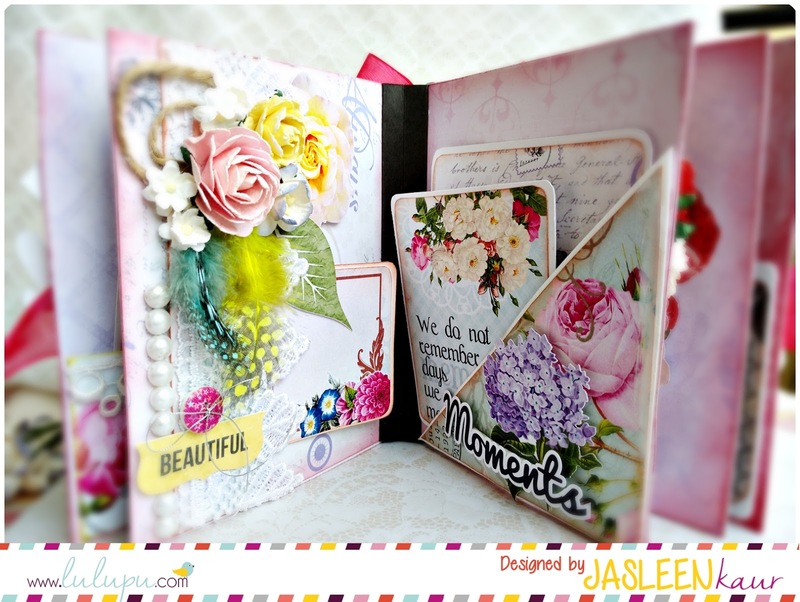 Its SO beautiful, Jasleen...I love the way you embellished each page.Co-ordinated so well.. Its so lovely and cheerful..And of course they are pretty pps!! Thanks so much, Sathya. Coming from you, it means a lot. Thanks so much, Karthikha ! This is gorgeous! You have embellished it so beautifully! Love it! Thanks a lot, Priyanka ! The album is gorgeous Jasleen!! 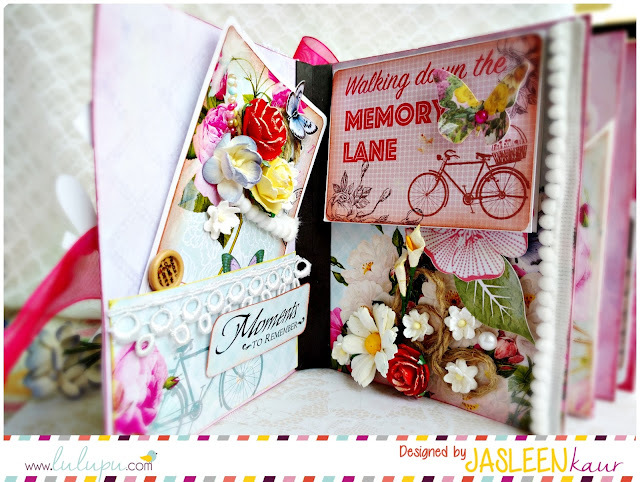 Hello Jasleen......Stunnigly beautiful. Loved Loved Loved it all. Inspired me to another level to do something great. OMG Jasleen its drop dead Gorgeous and when it comes from you not being your usual style it Awesome !! 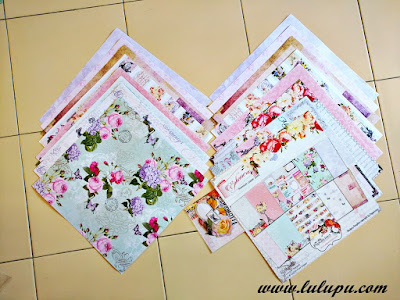 You have rocked the shabby chic style ! Super gorgeous! Pretty papers made even better with your creativity. Had a doubt... Wud a 12x12 album qualify as a mini album?? I see 12x12 mentioned on the challenge rules, was wondering if that would still be a mini album.. Thank you, Padma. I'm glad you liked my album. Such a beautifulll album. Loved the way you embellished it. Can we post more than one entry? 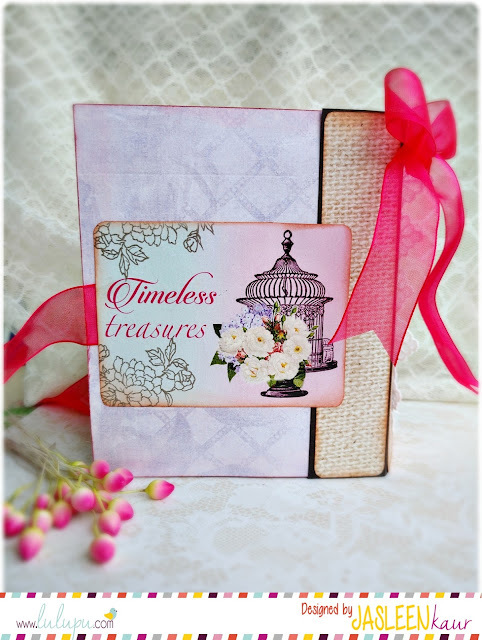 My mini albums don't have photos and they are embellished on every page in a clean simple way suiting the design. Is that ok? Thank you, Khushboo. I'm glad you liked it. Yes, definitely you can post more than one entry, maximum upto three are allowed. Please add (2) and (3) against the respective entries. 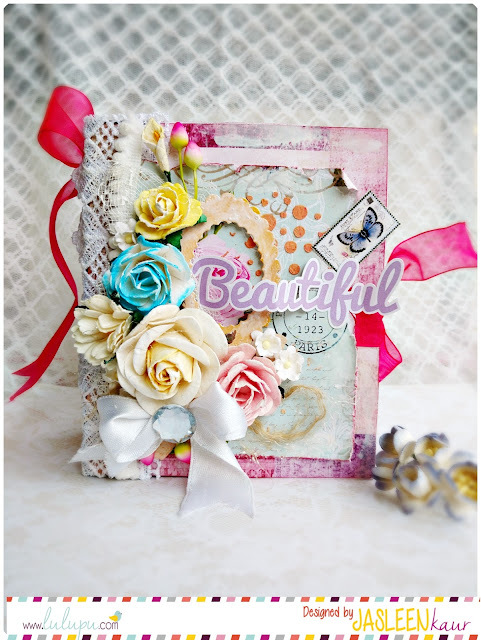 And it's okay if your albums do not have pictures, but they should be well-embellished. I hope I've cleared your doubts. Yes you've clarified my doubts :). Thank you so much. Hi, Jasleen. Thank you for sharing this gorgeous album! 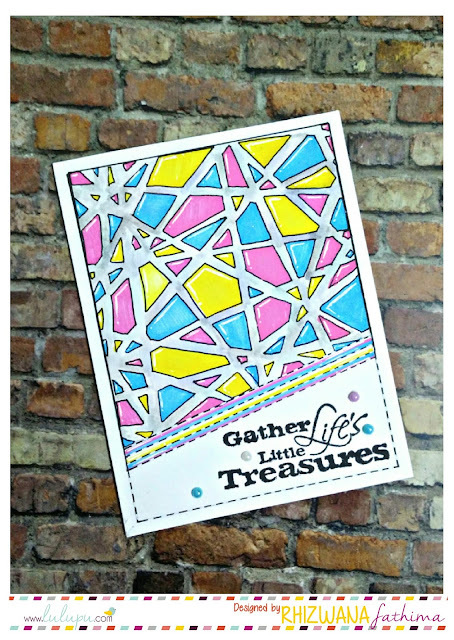 Ephemera indeed is a beautiful paper line! I had a quick question regarding the challenge: The rules say "new entries only"--so will any May 2016 post on my blog (not linked to any other challenges) qualify? I make only mini albums. Thanks! Yes, any May 2016 post with the album can be entered. Waiting to see your work !